Hurricane Willa, a fierce Category 3 storm, closed in on Mexico's Pacific coast making landfall near Isla del Bosque, Sinaloa state, in Mexico, according to the National Hurricane Center (NHC). Estimated winds speeds were recorded at 120 mph with a wind gust of 95 mph reported. The storm had prompted more than 4,000 evacuations in coastal towns. Forecasters warn the storm will bring life-threatening storm surge, wind and rainfall to parts of western Mexico. Federal officials said late Tuesday there were early reports of blackouts in some places and damage to flimsy structures with tin roofs. The storm had battered the Islas Marias, a group of Mexican islands about 60 miles off the mainland that include a nature preserve and a federal prison. Federal authorities gave no immediate details on any damage to the prison or what steps were taken to protect the inmates. As Willa closed in, the beach in Mazatlan almost disappeared, with waves slamming against the coastal boulevard, black clouds looming overhead. The area is home to high-rise hotels and about 500,000 people, including many U.S. and Canadian expatriates. A few surfers had taken advantage of the high waves even as workers boarded up windows on hotels, shops and homes. Schools were closed and the streets nearly empty. "I'm sure my house is going to flood," college professor Ignacio Osuna told the Reuters news agency as he watched the surfers. "This is going to get ugly." The NHC said Willa was moving inland at 10 mph and was forecast to quickly begin losing power. CBS News Radio reporter Adrienne Bard, appearing on CBSN, said Willa is expected to be one of the most dangerous storms to hit Mexico in recent years: "There was Hurricane Patricia, which came in a Category 5 a couple years back in Puerto Vallarta — and somehow miraculously — didn't do any damage, so I think everyone's hoping for that." Hurricane-force winds extended 35 miles from the storm's center, and tropical storm-force winds were up to 115 miles out. Forecasters said Willa could bring 6 to 12 inches of rain, with up to 18 inches in some areas. 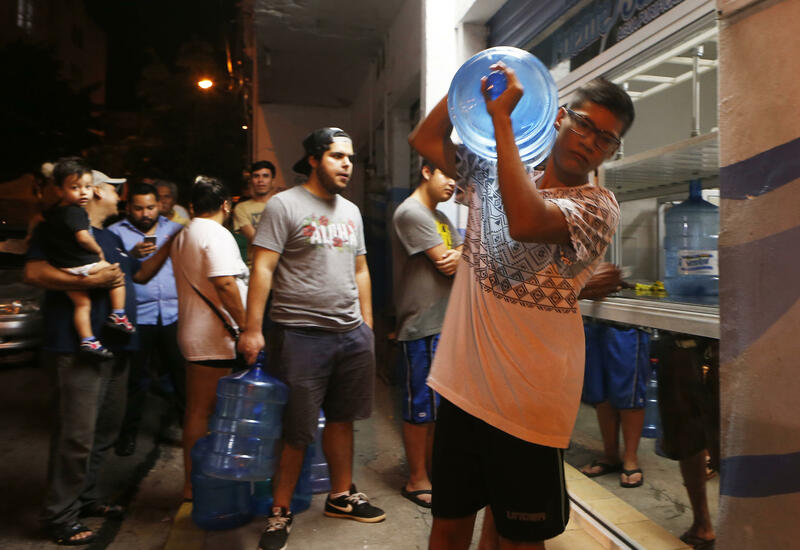 Farther to the south, the remnants of Tropical Storm Vicente continued to bring heavy rain that caused deadly flooding and mudslides in southern and southwestern Mexico. Federal disaster agency chief Luis Felipe Puente said 11 people died as a result of Vicente. Local officials earlier put the figure at 12. Officials in Oaxaca state said seven adults and five children had lost their lives in drownings or mudslides. After leaving Mexico, Willa, which absorbed moisture from Vicente's remnants, was expected to drop between 1 and 3 inches of rain in already saturated parts of Texas. By Friday, Willa is expected to become a nor'easter and threaten parts of the Eastern Seaboard. "It's going to retain its identity and then kinda merge with Gulf of Mexico moisture, a big front that's going to be swinging down from the Great Lakes," Berardelli said on CBSN, "and we're going to be talking about a major nor'easter for us here in New York City but really up and down the whole Eastern Seaboard." Jeff Berardelli contributed to this report.